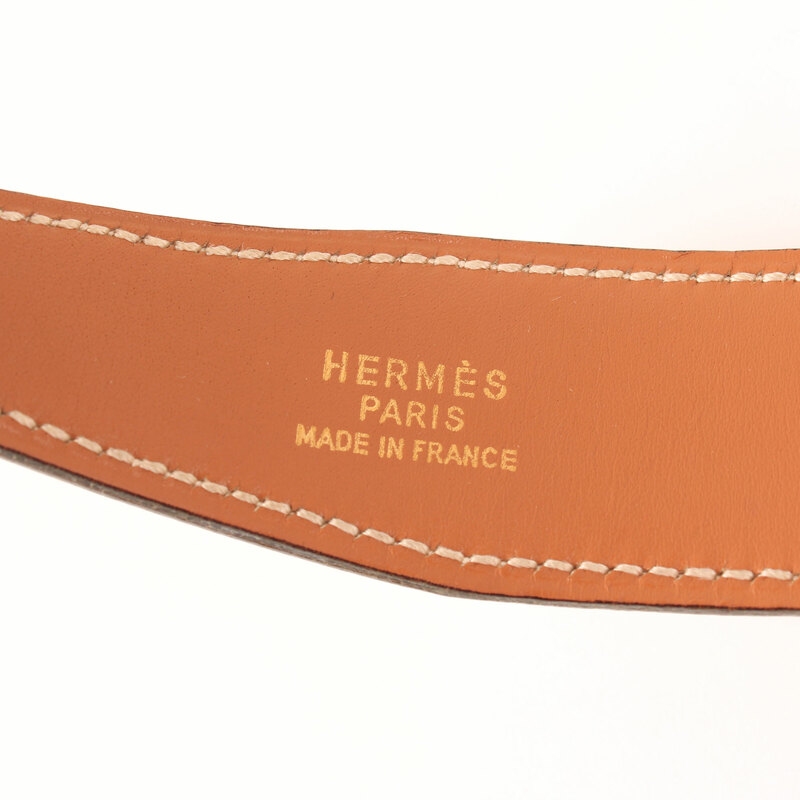 Hermès H Belt. 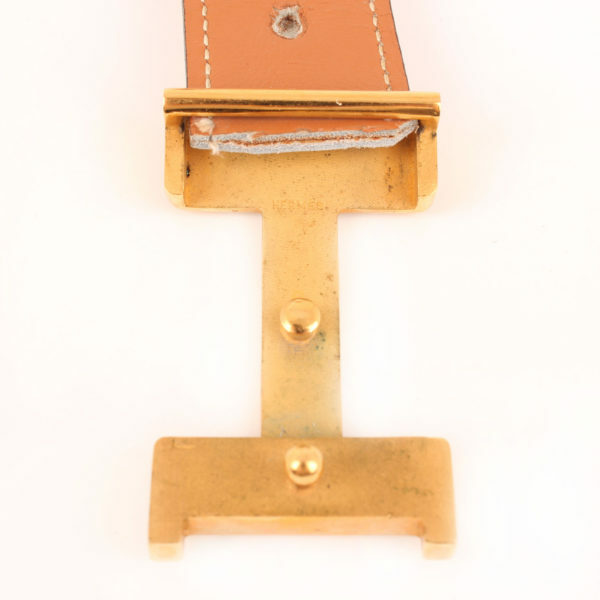 A two-sided, two-colored piece from 1982, in Gold and white Box Calf leather. 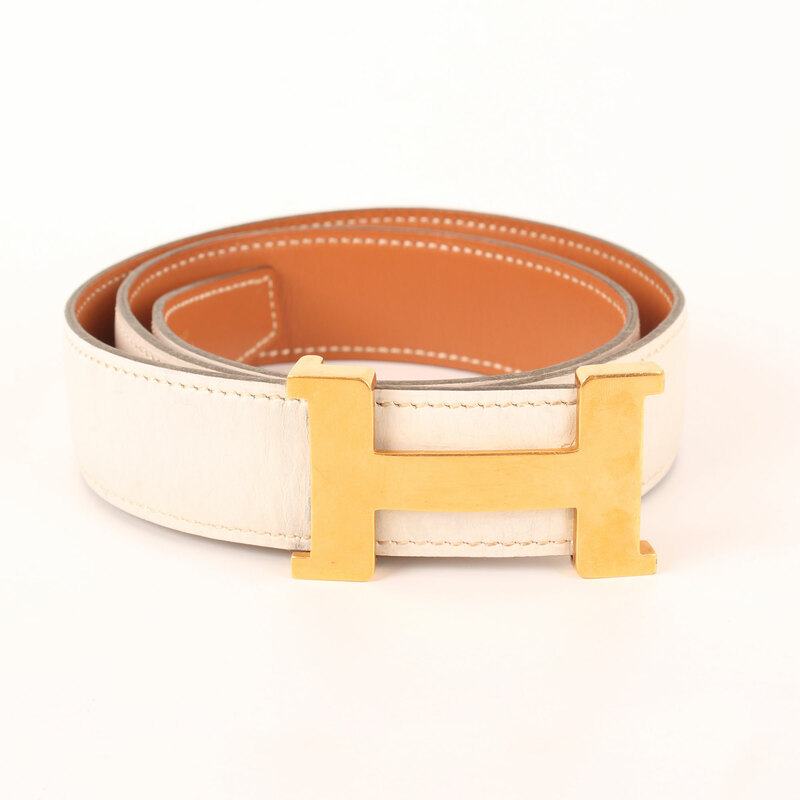 Vintage H Belt from Hermès, year 1982. 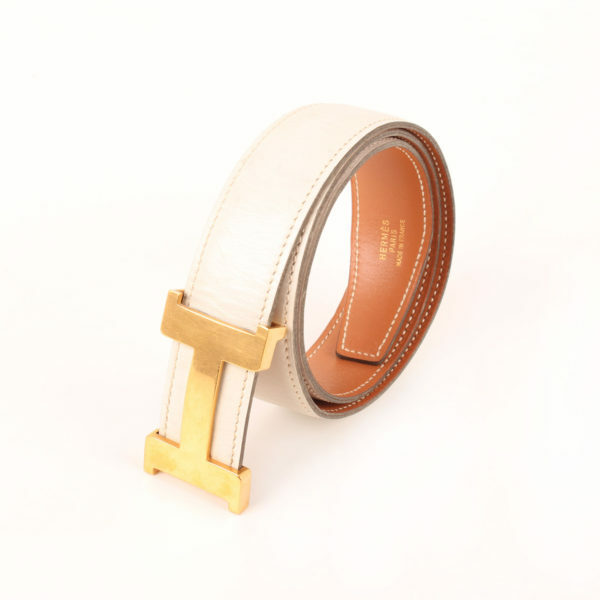 This two-sided, two-colored piece is made in Box Calf leather Gold and white. 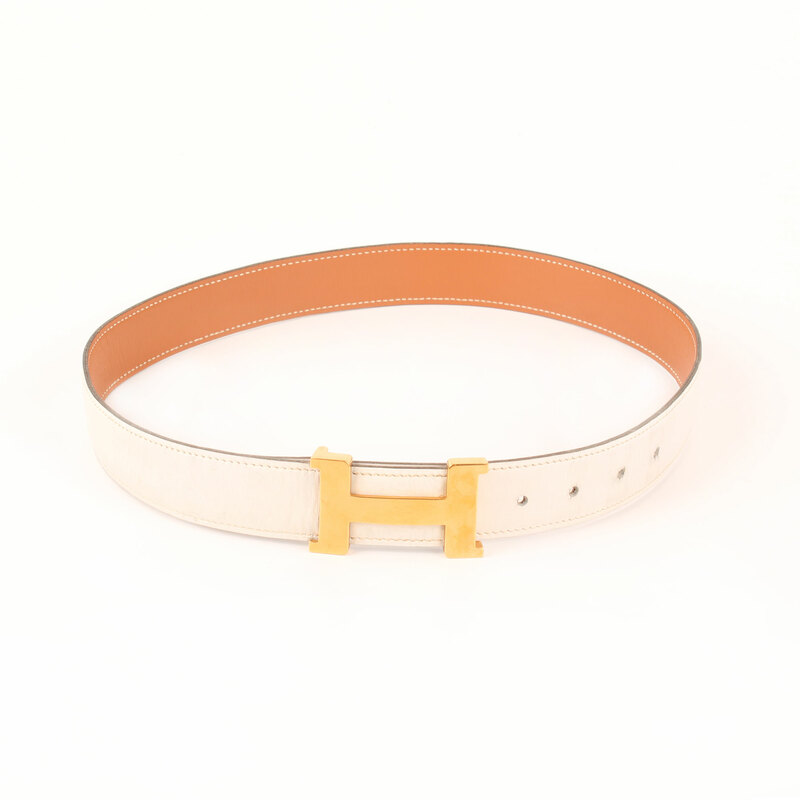 Gold hardware H buckle and five buttonholes to adjust the belt. 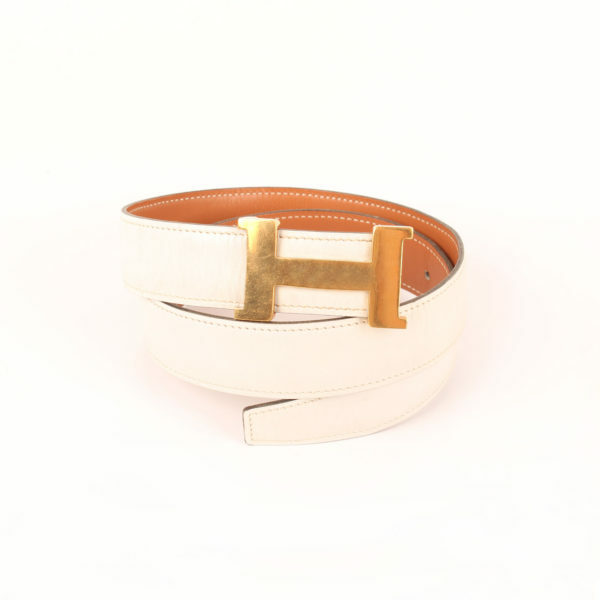 It is a high-waisted belt, in line with classic style tradition. Although the item shows a start of cracking and signs of wear both in leather and hardware, the belt remains in very good condition regarding it dates back to 1982. Details: Signs of wear in buttonholes and scratching in hardware. 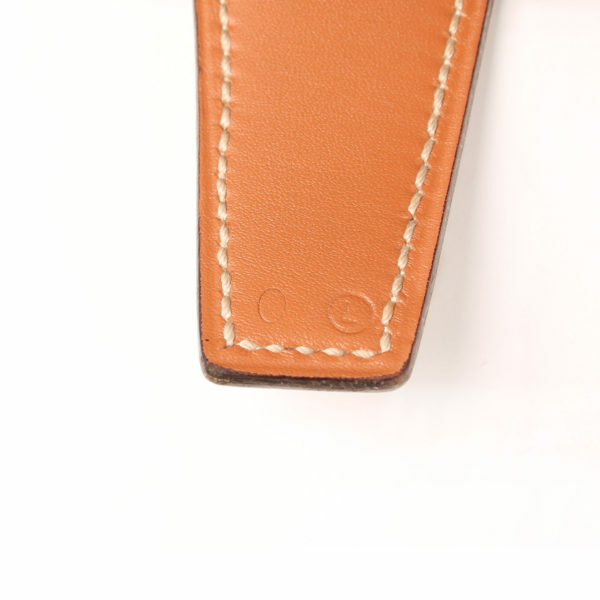 Leather shows a start of cracking.